As total deaths hit 50, Quebec Premier Pauline Marois arrives to tour the disaster site. 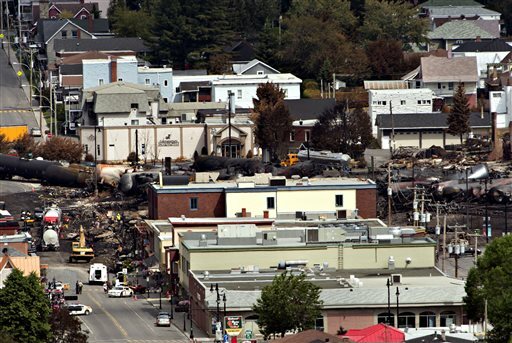 LAC-MEGANTIC, Quebec — Everyone missing in the fiery crash of a runaway oil train in Quebec is presumed dead, police told grieving families, bringing the death toll to 50 in Canada’s worst railway catastrophe in almost 150 years. Meanwhile, attention focused on the CEO of the railway’s parent company, who faced jeers from local residents and blamed the train’s engineer for improperly setting its brakes before the disaster. 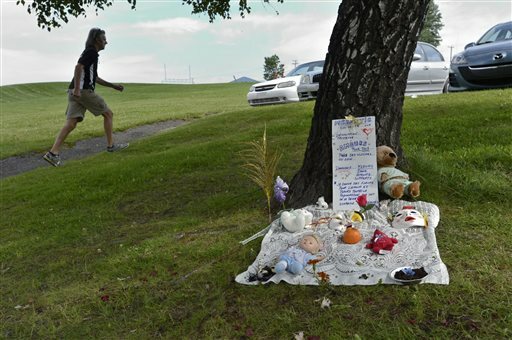 Quebec Premier Pauline Marois arrived in Lac-Megantic to tour the disaster site on Thursday, a day after officials said that 20 bodies had been found in this burned-out town, and 30 people were missing, presumed dead. 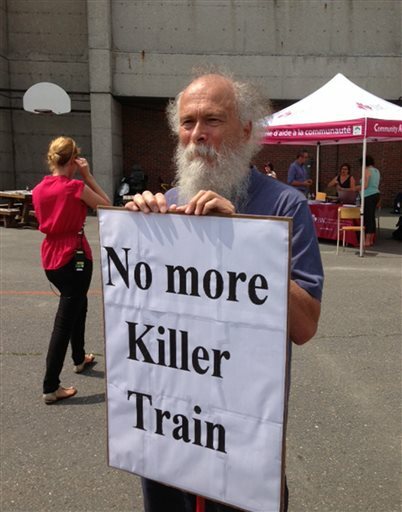 Edward Burkhardt, the head of the train’s U.S.-based parent company blamed the engineer for failing to set the brakes properly before the unmanned Montreal, Maine & Atlantic Railway train hurtled down a seven-mile incline, derailed and ignited in the center of Lac-Megantic early Saturday. All but one of its 73 cars was carrying oil, and at least five exploded. 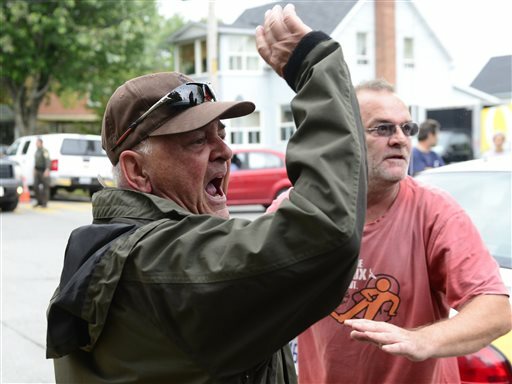 Burkhardt, president and CEO of the railway’s parent company, Rail World Inc., faced jeers from residents and scorn from Quebec’s premier as he made his first visit to the town since the disaster. He was expected to meet with residents and the mayor Thursday. 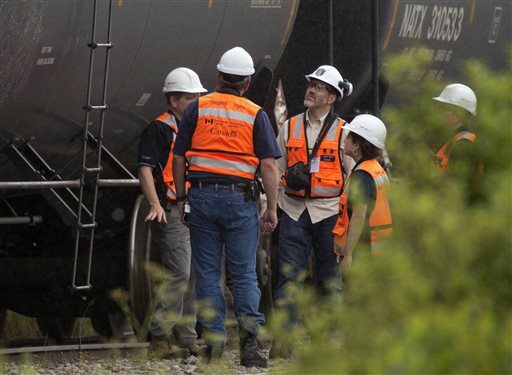 Until Wednesday, the railway company had defended its employees’ actions, but that changed abruptly as Burkhardt singled out the engineer. 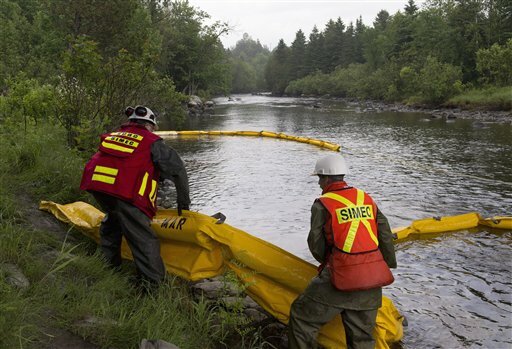 Quebec police have said they were pursuing a wide-ranging criminal investigation, extending to the possibilities of criminal negligence and some sort of tampering with the train before the crash. The heart of the town’s central business district is being treated as a crime scene and remained cordoned off by police tape. 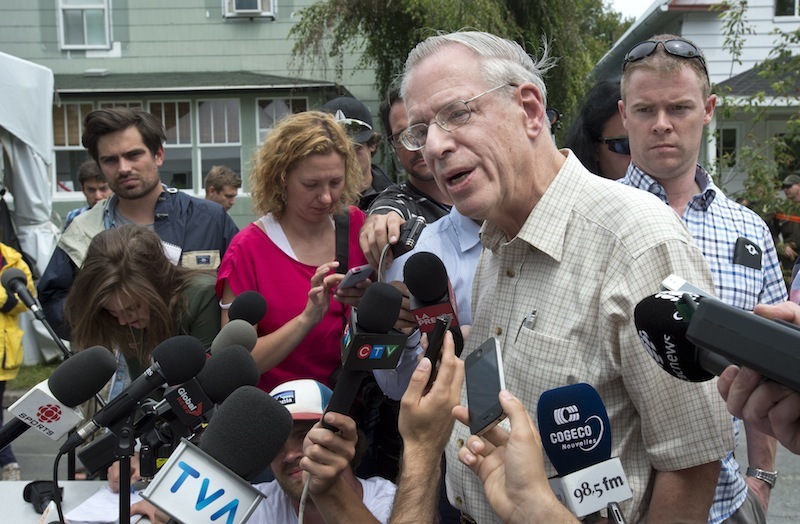 At a news conference shortly before Burkhardt’s arrival, the Quebec Premier faulted his company’s response. The disaster forced about 2,000 of the town’s 6,000 residents from their homes, but most have been allowed to return.